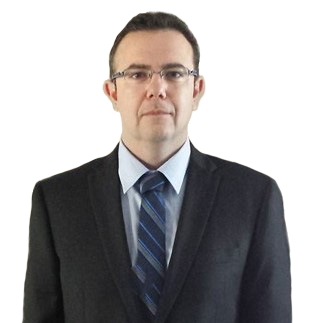 Financial Consultant | About Nick | First Financial Controller Inc.
Nick is a business-oriented professional and qualified Chartered Professional Accountant with over 16 years’ experience working with high-profile global organisations as well as small/medium size entities. Analytical with strong systems skills, Nick specialises in structuring, standardizing and streamlining financial reporting processes to provide more accurate and productive systems that enhance data visibility and facilitate better business decisions. Nick has extensive experience working at the executive level with a diverse range of internal and external stakeholders. Adept at financial planning, accounting, budget process, controllership and risk management, he has a solid track record of using analysis, strategic planning and negotiation skills to successfully develop business initiatives whilst maximizing profit, minimizing cost and driving continuous change. As Controller and Divisional Head of Finance, Nick managed projects for local and international clients valued 150 million Euro, ensured compliance with IFRS standards, internal control and regulations, monitored financials, inventory, cash flow, market and operational risk reduction measures. He is proficient in developing and monitoring key performance indicators for various departments and is skilled in use of SAP, Sage, Quick Books and Office. His educational background is a first degree in Finance and Accounting from University of Beer Sheva, CPA certification in Israel and Senior Business Administration Diploma from Siemens Learning Campus in Austria. Most recently he obtained CPA, CA designation in Canada.